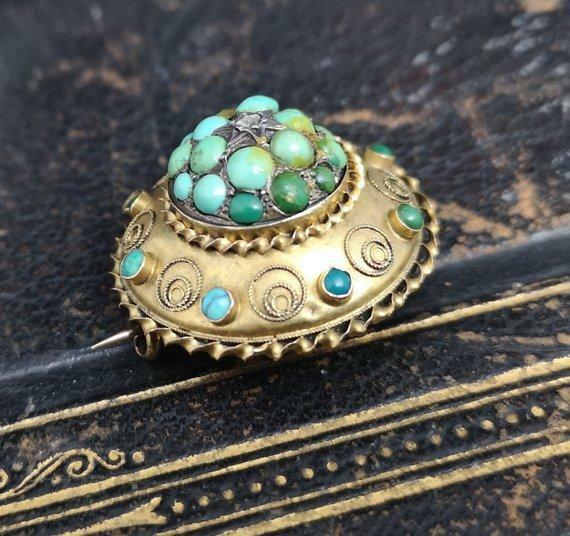 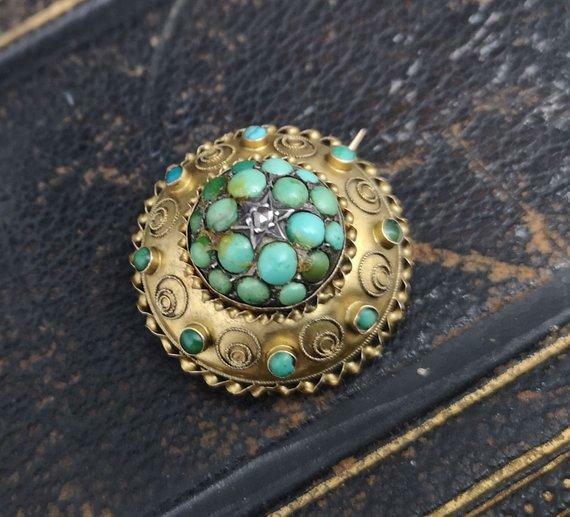 A beautiful Victorian 15ct gold locket brooch, adorned heavily in gorgeous antique turquoise cabochons with a central Old cut diamond. 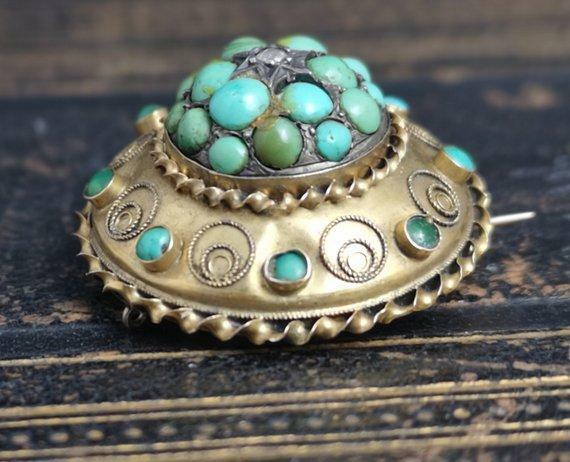 It is a target shape in an etruscan revival style, very detailed metalwork, a luxury piece with its multitude of turquoise and rich gold. 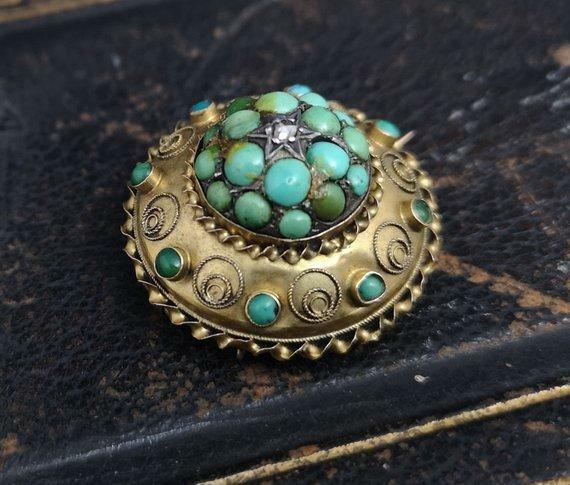 The diamond is star set into a silver setting and surrounded by large turquoise cabochons which vary in size and shade, there is then a space of gold metalworking and then a further border of smaller turquoise. 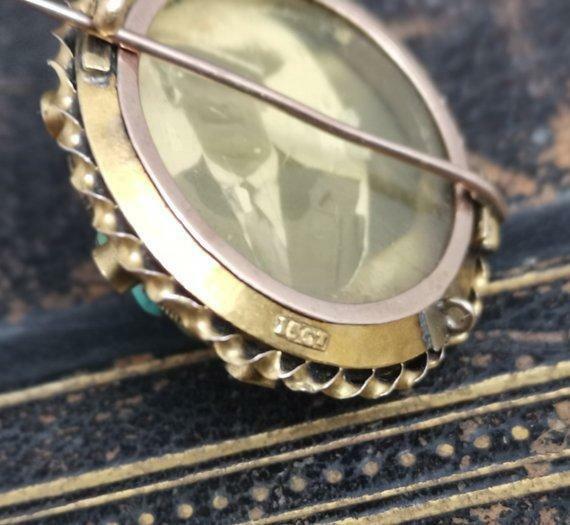 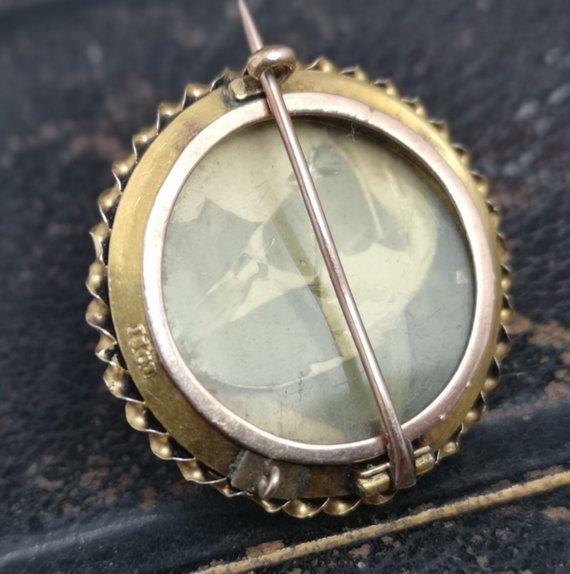 Behind the brooch there is a covered photo compartment / locket, it has an old C type clasp and is marked 15ct, it has a good weight to it. 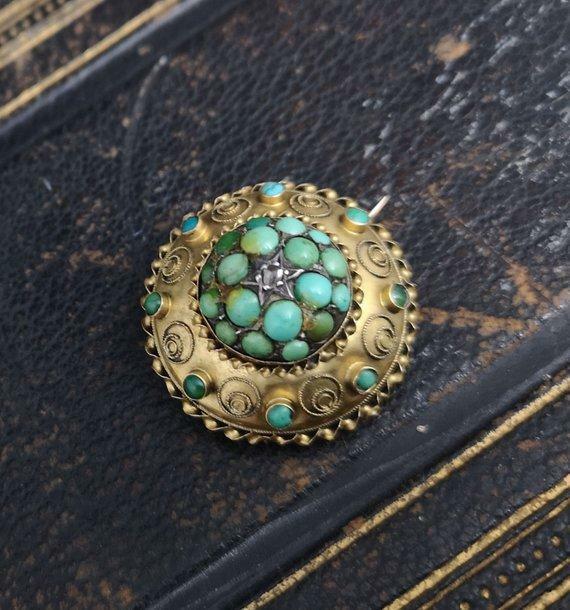 This is a genuine antique gem of a brooch. 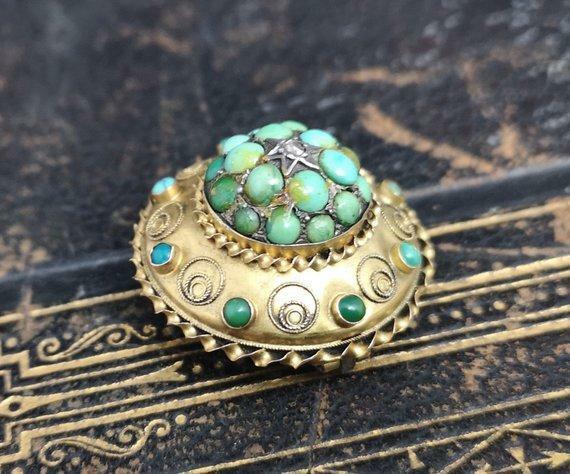 Condition is good overall with some age commensurate wear, turquoise vary in shade, pyrite running through one or two, a couple of tiny dings on the metalwork, some old remnants of glue but all stones original and held tight in their setting.